Breast cancer is one of the most common cancers among women. Crestwood Medical Center provides helpful services to educate women on breast health, and encourage self-exams and routine screenings. 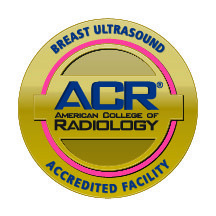 We utilize imaging technology that may detect breast cancer at the earliest stages, when treatment can be most effective. The combination of caring technologists and imaging technology allows us to deliver quality care. 3D mammograms detect 41% more invasive breast cancers and reduce false positives by up to 40%. That means one simple thing: early detection. 3D technology allows your doctor to see masses and distortions associated with cancers significantly more clearly than conventional 2D mammography. Utilizing breast tomosynthesis technology, 3D mammograms are clinically proven to significantly increase the detection of breast cancers, while simultaneously decreasing the number of women asked to return for additional testing. In conventional 2D mammography, overlapping tissue is a leading reason why small breast cancers may be missed and normal tissue may appear abnormal, leading to unnecessary callbacks. A 3D exam includes a three-dimensional method of imaging that can greatly reduce the tissue overlap effect. This 3D mammography system exam includes both 2D and 3D images. During the 3D portion of the exam, an X-ray arm sweeps in a slight arc over the breast, taking multiple images. A computer then converts the images into a stack of thin layers, allowing the radiologist to review the breast tissue one layer at a time. A 3D mammogram requires no additional compression and takes just a few seconds longer than a conventional 2D breast cancer screening exam. The new system is recommended for women of all ages and breast densities. The system allows radiologists to more effectively pinpoint the size, shape and location of abnormalities. This leads to better detection and greater peace of mind for our patients. 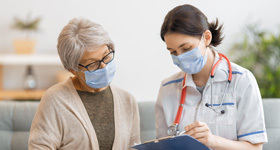 Depending on the results of a breast exam or a mammogram, your physician might request that you have a breast biopsy to determine abnormalities. The imaging team at Crestwood Medical Center has years of imaging and breast care experience and understands not only the technical aspects of their job, but also the emotional components. When we greet you we'll begin talking with you, gauging your comfort level, explaining the process in detail and taking the time necessary to answer your questions.